My kid is obsessed with flight. 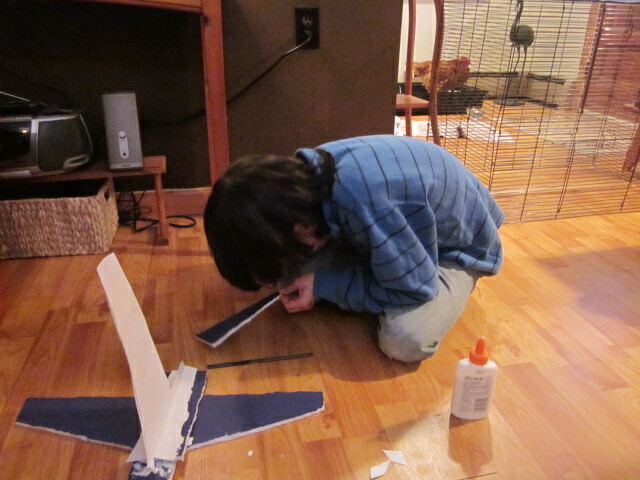 He spends hours watching videos of all things aviation. He tells me he’s getting worried; it’s hard for him to concentrate when he’s in school. All he can think of his how things fly… It’s almost driving him nuts. 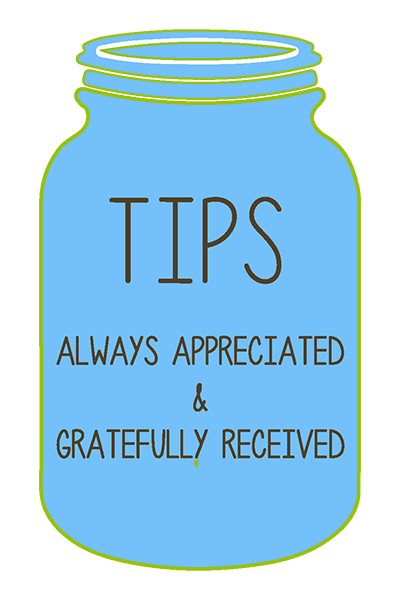 And it certainly takes a little patience and cooperation from me. ! 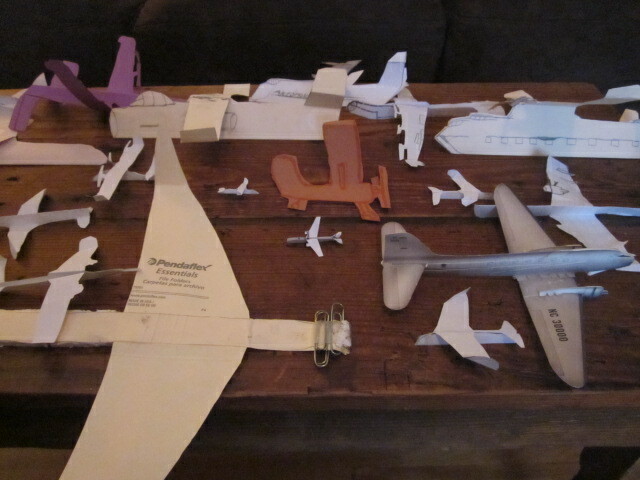 Elihu can’t stop making planes. 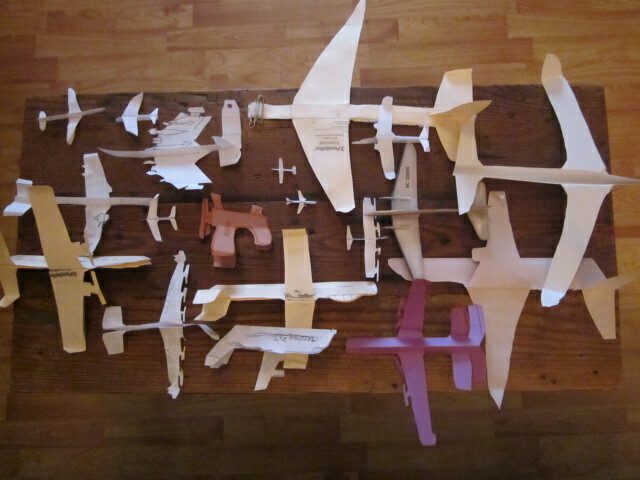 First, it was very sophisticated paper airplane designs that each flew with different characteristics. Seems he’s had his fill of that, and now he’s after the beauty of the silhouette. Spruce Goose, Antinov, DC 10, Piper Cherokee, whatever… These days he lives and breathes man-made things that fly. I encourage him and watch him in fascination as he leads me on yet another one of our life’s adventures. His current goal is to become the world’s first legally blind pilot. Sounds crazy, but if I were ever inclined to believe someone, it would be him. He is one focused little boy. And for him, his goal doesn’t seem crazy at all. For him, it’s within plain sight. 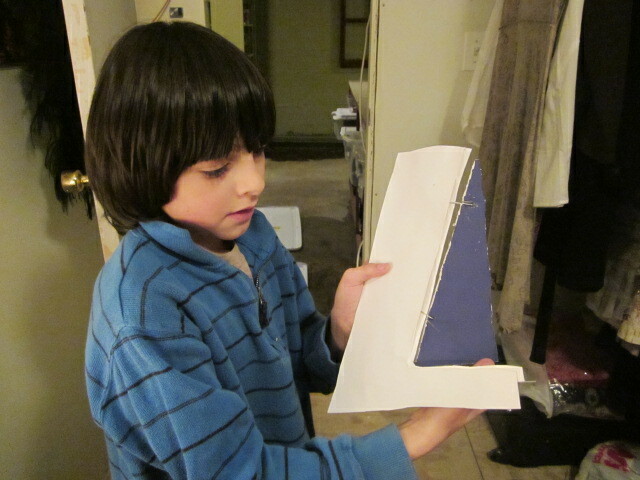 And it’s got a moveable rudder, too. Those models look great. Being a legally blind pilot may not be as crazy as it sounds. There probably will soon be visual instruments that are so detailed and complete on planes in the 2020s (or 30s, anyway) that they will make long-distance sight unneccessary or redundant. In any event, there will always be co-pilots who can do the actual landings if “actual vision” flight is needed. Your son may very well have some wonderful opportunities in the future that one can only imagine today.